Occasional dead bee colonies – at any time of the year – are a honey bee fact of life. In total, the possible reasons for these seasonal die-offs are too many to discuss. In fact, all of the reasons are not even known. 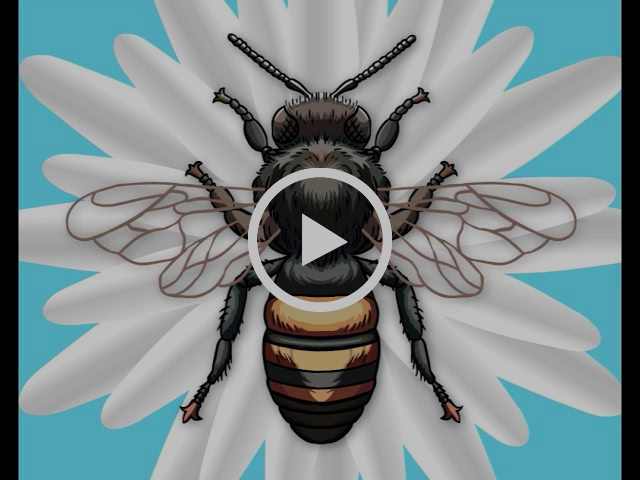 In the wild, the bees seem to have a system to address this routine die-off phenomenon – if at all possible, a wild colony will cast swarms as often as possible. Somewhere, someway, some of these many swarms will survive the cold season and live long enough to . . . (you guessed it!) cast many smallish swarms the next season – and so it goes. Natural colonies also do many other things to help with its constant struggle to survive. 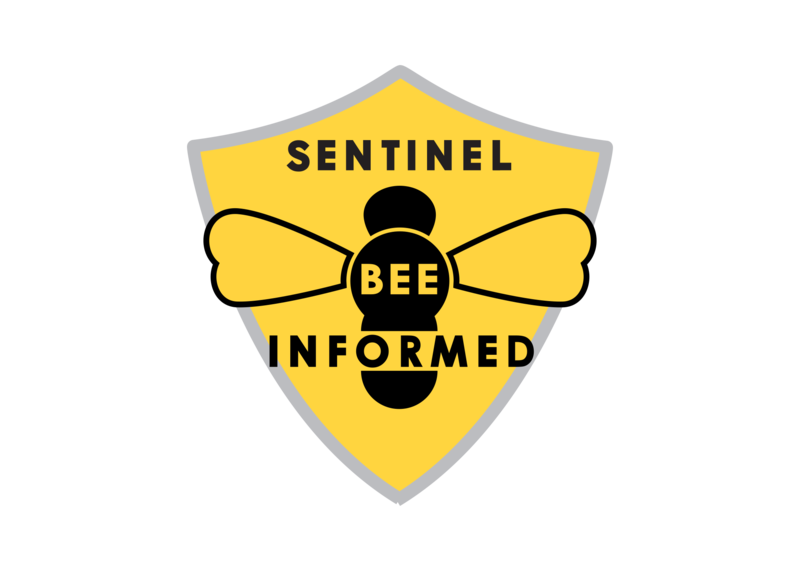 They have a well-known defensive system – the sting – that is used to defend food supplies (honey and pollen) that have been stored for dearth seasons. They use propolis to guard against bacterial invaders and other insects. They have internal nest structures that limit invasion by pests and predators (e.g. bee space), and, if possible, they put the nest in a sheltered location with a defendable entrance. Ironically, a colony even has ways (foreign odors and behavior perceptions) to defend against one of its most common invaders – robber honey bees from other colonies. To survive genetically, a colony seems to have two cards to play – (1) newly mated queens leading new swarms, and (2) the occasional drone that is successful in passing the colony’s genetic characteristics along to a new queen during the mating process. In any way possible, the struggling colony fights to survive. Many times they fail. 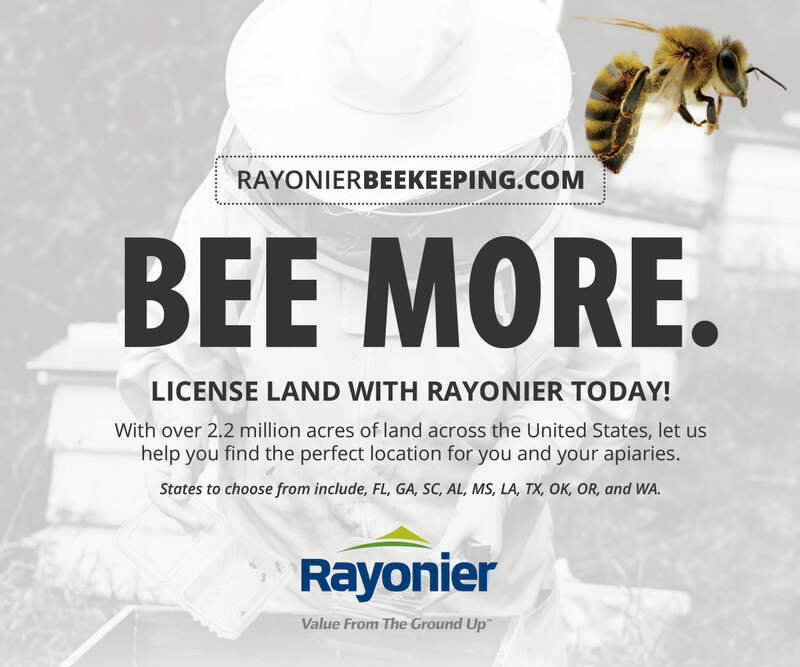 Make no mistake – it’s hard out there for a wild bee colony. 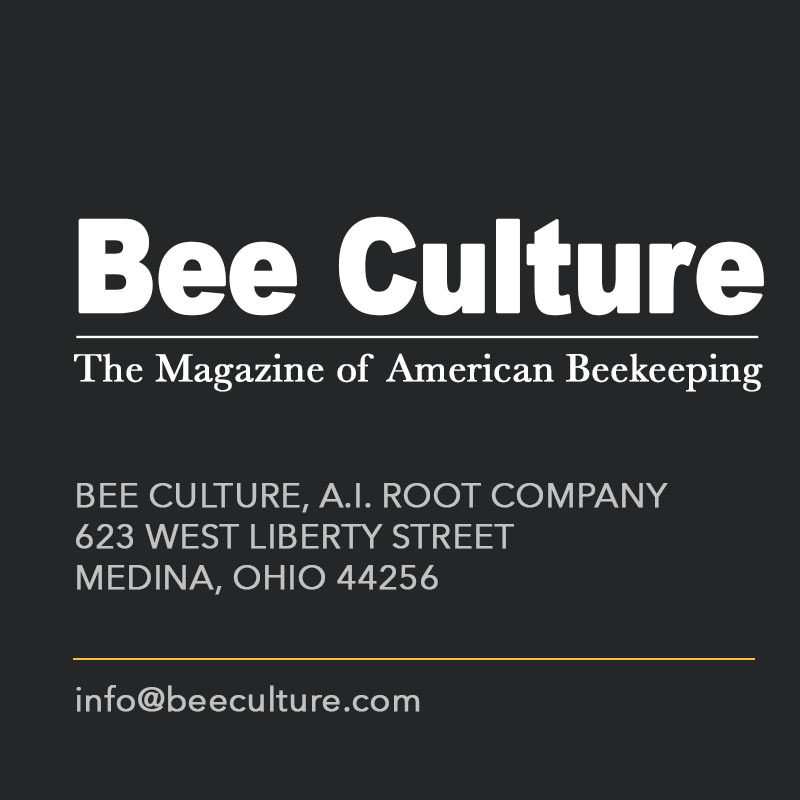 At the most fundamental level, all that any beekeeper is trying to accomplish is to assist with these wintering problems or even eliminate the challenges that a colony faces. We provide housing, food, protection from the elements, and we try to help them stay healthy through chemical or behavioral means (e.g. screen bottom boards). We try to reduce the risks of swarming by taking over the genetic future survival of the colony. 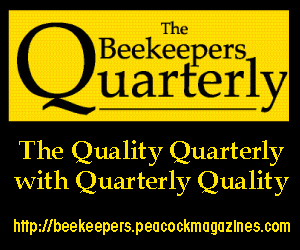 Beekeepers install selected queens that are well suited for this type of assisted existence. Many times both beekeepers and their bees fail. 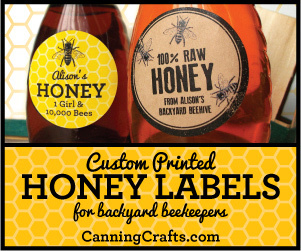 Make no mistake – it’s hard out there for a beekeeper and his/her bees. In the wild or in my hives, sometimes colonies die. I don’t like the occurrence in either wild locations or in my managed hive boxes. In managed beehives, it is a discouraging, messy task to clean the residue. The heavy odor of decay makes the situation just a bit worse. I do the best I can to forestall any colony’s death, but when one goes, I can, at least, truthfully tell myself that the colony would not have fared much better on it’s own. The beekeeper’s prime Winter goal is to address as many challenges as possible, and then wish the bees good luck. We hope that most – if not all – will survive the season. Sometimes they don’t. What then? Depending on your location, various procedures are required to recoup losses. In warm climates, the wax moth is a relentless taskmaster. The combs are often destroyed before the colony is completely dead. 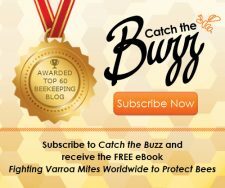 Warm climate beekeepers must be doubly alert or their problem is compounded – they have lost bees and comb. In cooler climates, the situation is still bad, but not so urgent. The first thing with winterkilled equipment is to determine what caused the colony to die. The obvious concern is that spore-forming American foulbrood (AFB) may have been the problem. If foulbrood has been a problem in the past, contact the state apiary inspector and have a competent assessment made. At times, Nosema is a problem. Unfortunately, Nosema is difficult to diagnose, and the remedy is somewhat expensive. Increasingly, Nosema treatment is simply queen replacement. Excessive defecation spotting is an indication of this type of dysentery. Starvation has distinct characteristics. The cluster will be in a tight (and dead) group, probably near the center of the colony with single dead bees scattered about. Frequently, the dead cluster is right at the top of the colony. Upon removing frames from the colony, many bees will be seen in cells with their heads toward the center of the comb. Meager amounts of honey, if any are usually all that remains. Occasionally, patches of honey can be found scattered throughout the hive, but bees were unable to get to it before chilling. While it may look alive this colony was winterkilled. the queen is to the left. Once the reason for the winterkill has been determined, you need to decide what to do with the equipment. Diseased equipment should be destroyed or sterilized depending on the disease pathogen. Colonies that starved should have dead bees shaken from the equipment and comb as much as possible. 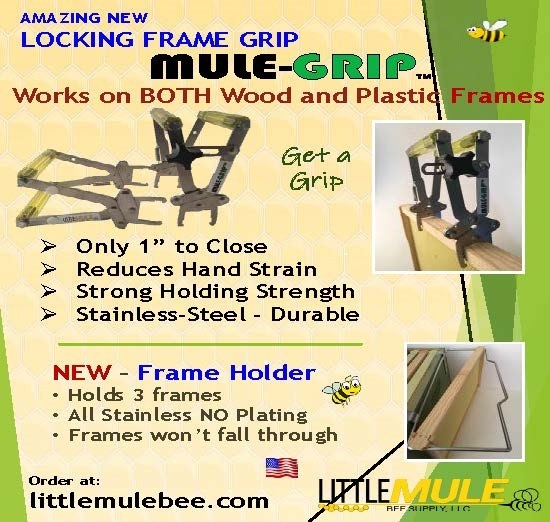 True, new bees will remove all the dead bees from the frames, but assisting the bees with the task can save critical time. Even after most of the dead bees are removed, a stench will be noticeable and unpleasant. Many bees will have filled cells with their bodies. If the humidity is high, their dead bodies will fill cells and become soggy. Bang the frames on the side to jar as many out as possible. Rarely are all of the bees removed, but do what you can. If possible, don’t give the new colony only frames that need clearing. Let the new bees become established, and as they grow, add the occasional frame of dead bee combs. I stack such obnoxious equipment outside on a solid board, and soundly close the top. If cracks remain, I use tape to cover these holes. Mold will grow on the combs, and they will look unusable. Keep mice out of the stacked equipment. Stacking outside keeps the stench outside. Unless you’ve had extremely bad luck, some of the colonies probably survived the Winter. Depending on the strength of the surviving colonies, bees and brood can be taken from surviving colonies, along with a new queen, and put in refurbished winterkilled equipment. The strength of the split is an arbitrary decision you’ll have to make. The stronger the split, the more likely the colony will survive. However, the stronger the split, the more likely you’ll not get a honey crop from the original colony. I usually suggest placing a mated queen in the reestablished colony as opposed to letting the bees produce their own. If winterkills have been a problem, you should do everything possible to improve your chances for the next Winter. If bees are required to produce their queens, too much time is lost during the nectar flow. Brood and bees from several colonies can be mixed to form a new colony. Smoke or some other disruptive agent (air freshener or newspaper barriers) should be used to mix bees from different colonies and minimize fighting. 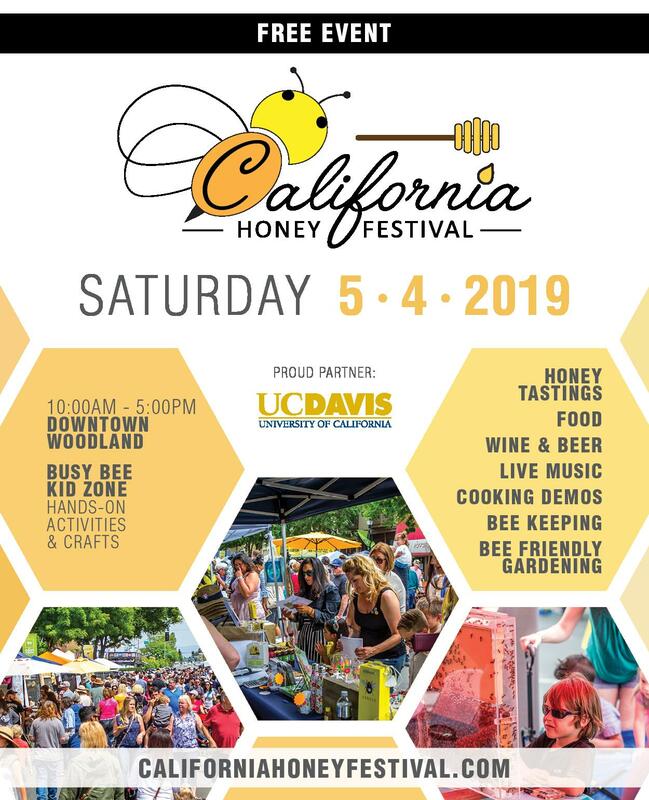 Book your package bees as early as you can. Increasingly, package bees are expensive but readily available if you book early. 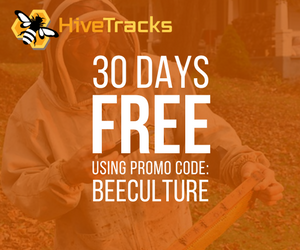 Package bee installation is a simple and proven procedure for getting hive equipment back into operation. 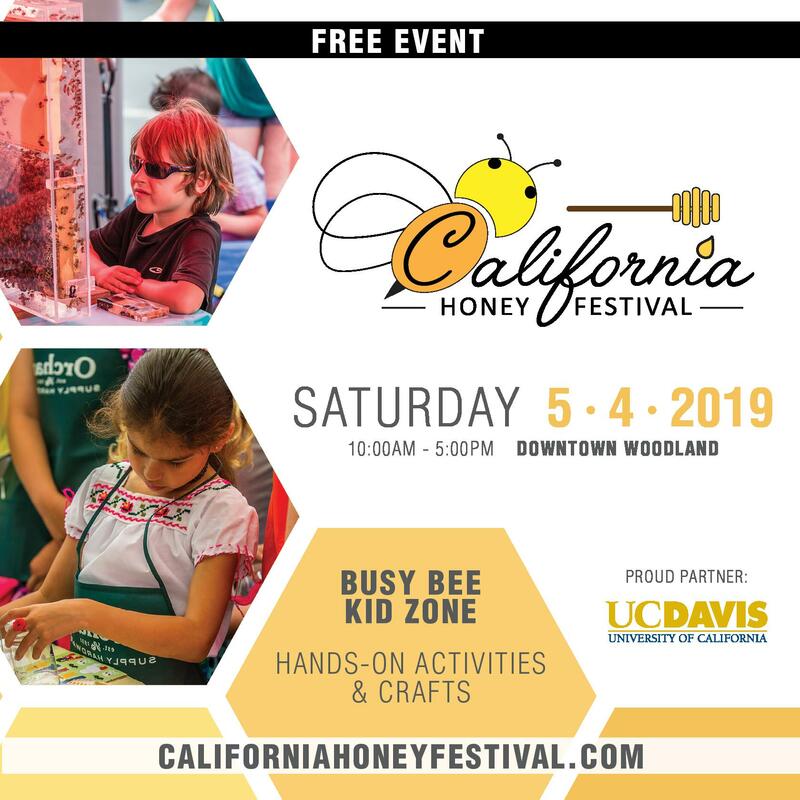 Package producers, listed in the bee journals, should be contracted as soon as possible in order to book the arrival dates most convenient for your location (around dandelion and apple bloom time.) 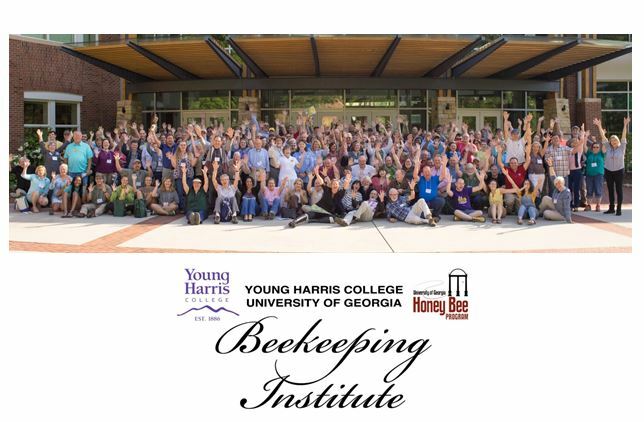 Check with you local bee club. They sometimes buy in bulk. 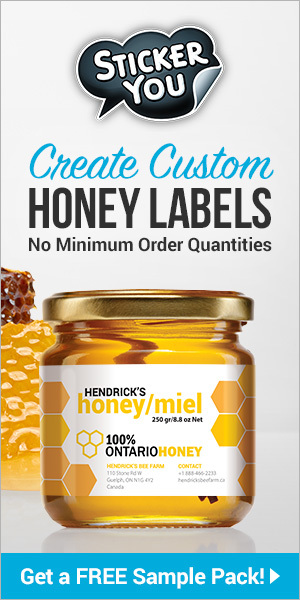 If bees are all that’s needed, queenless packages can be purchased. Colonies that survived the Winter in weakened conditions, but alive, can be boosted with the addition of a few pounds of healthy adult bees. Contact individual package producers for the details on queen right or queenless packages purchases. They may or may not be available. Colony splits have the advantage of not having the “post package population slump.” After a package of bees is installed, the adult population declines until the colony’s queen produces new bees. Since brood is included in a colony split, adult population decline is not as great, and the colony builds up faster and is better prepared to face the cold weather. To the best of my knowledge, there is not a “standard” split. 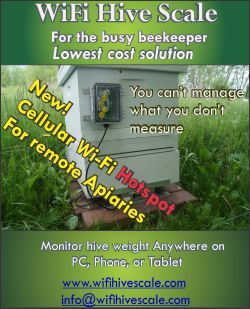 Contact beekeepers who are selling splits. Ask how many frames, how many adult bees, and how much brood will make up the splits. Determine if frame replacement is expected. It would probably be a good idea to check with the state inspector to be sure the individual has a good record of disease control. Occasionally special deals may be worked out with another beekeeper for you to provide some of the manual labor required to make the splits. 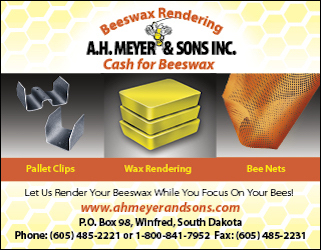 Prices range from$100-$150 per split depending on the size of the split in brood, adult bees and number of frames. It makes sense that on-site pickup of the splits is required. Shipping splits would be difficult. I seriously doubt that there’s a beekeeper in the world who doesn’t have a slight rise in blood pressure at the mention of a six-pound swarm. In fact, swarms are an excellent way to restock winterkilled hives. The only problem is that they are so unpredictable and, due to mite predation, they have become somewhat uncommon. They are also inaccessible at times – requiring great feats of strength, bravery, and agility (maybe other descriptive terms would have been more appropriate here). I must confess that they are sometimes simply not worth the risk. Another confession? Sometimes I hold some winterkill equipment for the swarms that come my way. If of course, such swarms are never from my hives. “Dead-Outs” are simply colonies that die during the Winter – for whatever reason. There are few reasons to wish for colony winterkills, but if it happens, you have a window to perform routine hive maintenance and late season busy work. Increasingly, I am agreeing with those people, who years ago, were recommending the disposal of old, dark combs. Use common sense. If the frame is still perfectly useable, then use it, but if it needs extensive repair, is distorted, or has a lot of drone brood, toss it. (Actually, they make great kindling for a fire to keep you warm while working.) The reason for my change-of-heart is the possibility that pesticides are accumulating in the old wax and the increased concerns about old combs harboring viral and bacterial pathogens. My general recommendation . . . use old comb, but don’t become attached to it. Toss it when necessary. A sad mess. This situation smells just as bad as it looks. Bees busily apply propolis in the spring; you busily remove it. While the frames are out, scrape propolis and burr comb so the frame fits more easily within the hive body. I’m not sure why, but always save the propolis scrapings. I’ve never sold any, but I confess that I do like the smell of fresh propolis. 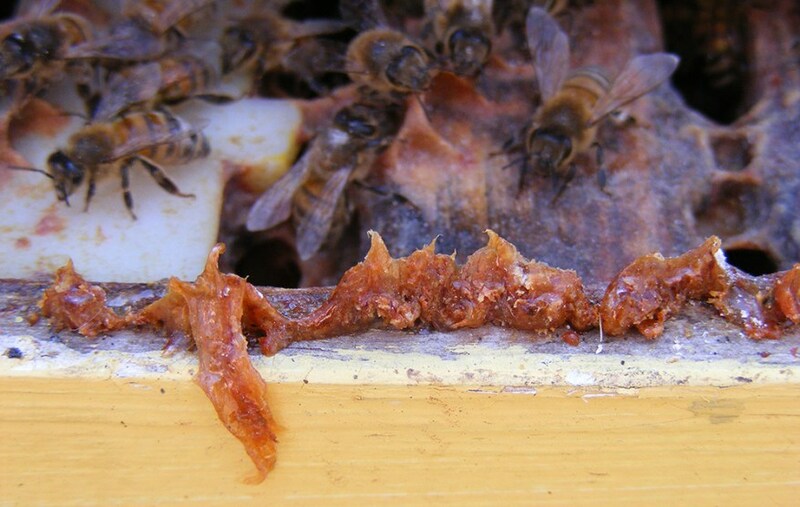 Use a heat gun to soften propolis before scraping. It makes the hardened propolis much easier to remove. There will never be a better time to scrap, repair, and paint the hive equipment. It’s cathartic. From a dead hive, you remodel, restore, and reinstall a new colony. I feel frugal, but a radio and a warm fire help prevent boredom during this task. If you mark or brand your equipment, do it now, just before repainting. From the bleak disappointing death of a colony arises the birth of a new, refurbished colony in a clean hive. High colony losses are indicative of management procedures that need to be improved. But clearly, you should be prepared for some colony deaths each year. Take it in stride and prepare the equipment for the re-establishment of a new colony the next Spring. Thoughts of Spring can make the coldest Winter day more tolerable.